The Samsung R620 has been unveiled for the UK market, with the £699 16 inch laptop bringing a Blu-ray drive and up to 4GB of RAM. The 16:9 screened Samsung R620 is built with movies in mind, boasting not only a Blu-ray drive but also an HDMI out to allow you to connect up to your television. The ATI Mobility Radeon HD4650 provides the graphical power, while the full-size keyboard apparently boasts the latest in anti-bacterial technology. "The R620 is a fantastic addition to the R series range. 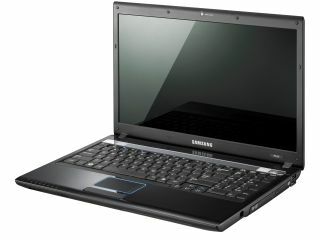 It's the one of the lightest notebooks in its 16-icch class, but it still delivers the best in high-definition multimedia experience, thanks to its powerful graphics capability and pure 16:9 aspect ratio," said Philip Brown, General Manager of Samsung Computer Systems Division. "The R620 has a stylish and practical design, extensive battery life and a comprehensive range of advanced features that lets users access and share information easily and safely on the move." The Samsung R620 will be available for a pound less than £700 from July in the UK.